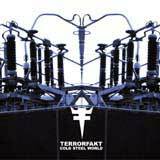 Crunchy, harsh, trance, rhythmic, noise, acidic, violent and unavoidable are all words that have been used to describe the music of Terrorfakt. The NYC based artist has been grafting infectious and innovative power noise trance since 2001. their corrosive music has re-invented and infused the noise and trance genres of electronic music with fresh ideas and influences. 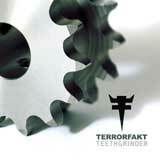 Their second album on Metropolis, Teethgrinder, is a myriad of torment, anger, confusion, hatred and pain. 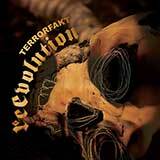 Agressive is too mild of a word to describe the pummeling beats, explosive rhythms, critical state melodies and self-destructive tempo. 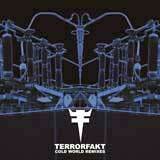 With the most raging album you'll hear this year, Terorfakt has reached unprecedented levels with the seething Teethgrinder.